Utility companies have an increasing array of options to consider when charting a path forward for their communications systems, but the prospect of utilizing priority wireless access—especially on spectrum licensed to FirstNet for the first nationwide broadband network for public safety—remains a challenge. 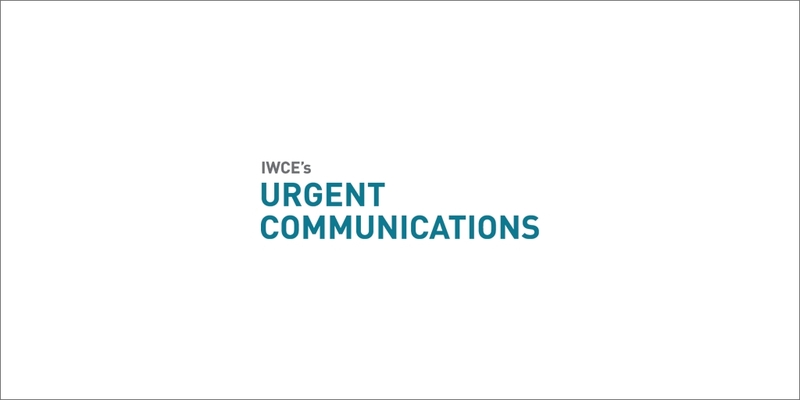 Elevating their wireless status will be a primary concern for utilities as they work with FirstNet to explore the possible role of utilities in the development and operation of the new network, utility-communications experts said during a recent IWCE’s Urgent Communications webinar. “During incidents where we depend on wireless communications, there is a huge impact on us, the fact that we come so low down on the totem pole on the FCC wireless priority access,” Wendell Little, IT communications operations department manager for Con Edison in New York, said. Little noted that it was important to Con Edison to have priority access on its wireless communications system, which is why the electric provider opted to deploy a private iDEN system when it made the transition from analog to digital push-to-talk technologies several years ago. Priority access will be just as crucial in the future. Some applications—for instance, automated meter reading—can be preempted in a case of emergency, but core functionalities used to monitor whether a utility network is working properly cannot be turned off, according to Brett Kilbourne, vice president of government and industry affairs and deputy counsel for the Utilities Telecom Council (UTC). Kilbourne outlined several different spectrum options that utilities can consider, including buying airwaves on the secondary market and pursuing a partnership arrangement with FirstNet. In a recently concluded proceeding, public-safety groups were divided on the question of whether utilities should receive priority access as part of a sharing arrangement with FirstNet.